Product prices and availability are accurate as of 2019-04-20 10:10:16 EDT and are subject to change. Any price and availability information displayed on http://www.amazon.com/ at the time of purchase will apply to the purchase of this product. 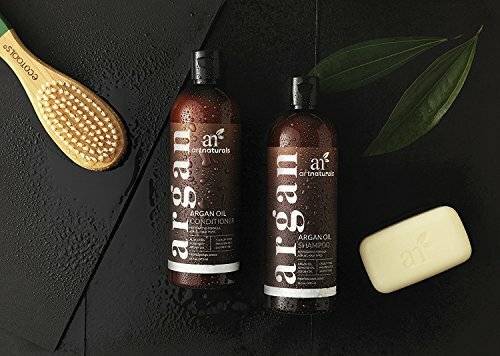 Get it together-and maximize the restorative, revitalizing results to your hair with Art Naturals' Argan Oil Shampoo & Conditioner Duo Set. This power couple is first on The List for moisturizing, strengthening and protecting your crowning glory. 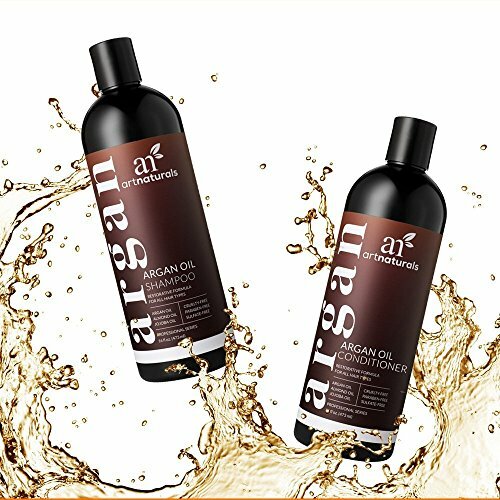 ArtNaturals Argan Oil Hair Shampoo treats your stressed-out locks to a shower spa treatment. The fabled conditioning properties of Moroccan argan oil, combined with natural herbal extracts, protein and Vitamin E give you the confidence boost of another good hair day. The rejuvenating Argan Oil Conditioner absorbs into hair follicles, repairing and protecting it from styling heat and the sun's UV rays. Botanical extracts and essential oils enhance the health and appearance of your hair, including its length, color and texture. 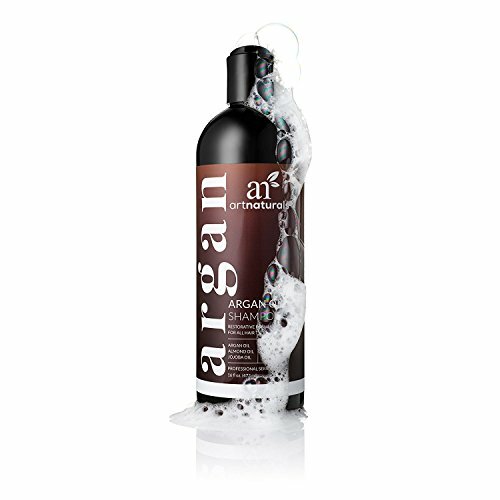 Argan Oil Conditioner strengthens hair shafts, preventing breakage and frizz as it nourishes. 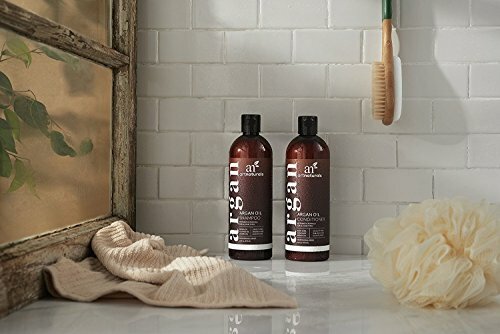 The rich, moisturizing, natural formulas of both Shampoo and Conditioner, infused with restorative argan oil, aloe vera, white willow bark, burdock root, rosemary, and thyme, stimulates cell renewal and healthy growth as it revs up hair follicles and supports a healthy scalp. Hair feels healthier, less brittle, thicker and super-shiny. The Duo conquers static-and is always color-safe and safe for all hair types. The hydrating and protective properties allow you to blow-dry without worry-you'll look like you just walked out of the salon with gorgeous, healthy, eye-catching hair! 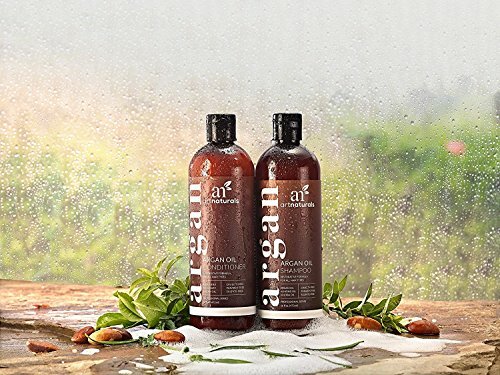 Argan Oil Shampoo & Conditioner Duo doubles up on the products' restorative, nourishing properties. 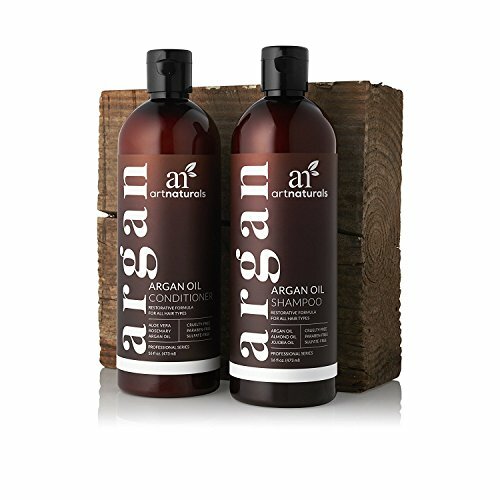 Argan oil plus botanical extracts and oils enhance shine and health of hair and scalp. Shampoo cleans gently but effectively, without stripping color. Conditioner hydrates and protects, leaving hair shiny and thicker. All ingredients meet Art Naturals' 100 percent natural standards. Paraben free and cruelty free!